1Put sardines (whole or cleaned*) in a bowl with extra virgin olive oil, grated lemon peel, salt and 1 garlic clove. 2Cover it and let it sit for 30 minutes. 3In a small glass or a small bowl mix extra virgin olive oil, salt, chopped parsley and chopped garlic. 4Grill the sardines until charred, around 5 minutes per side. 5When ready place them with fish/meat turner or metal spatula on the plate and season with garlic and parsley sauce and serve with lemon wedges. 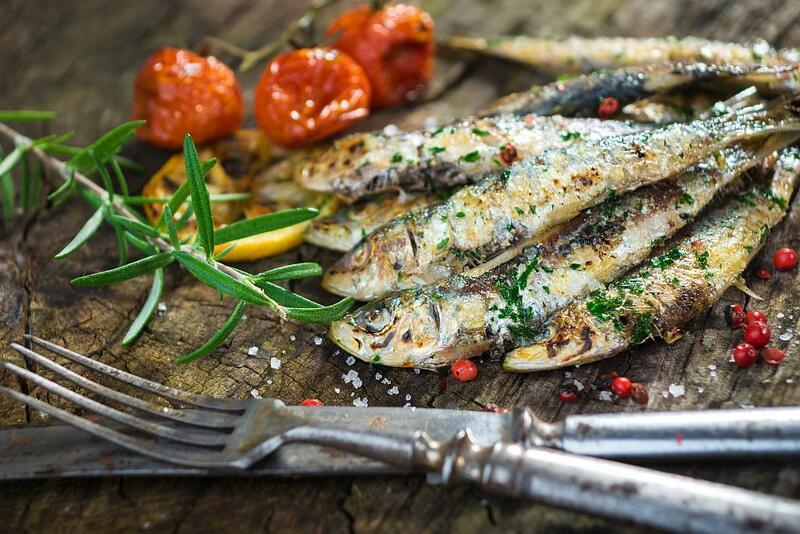 Grilled Sardines are a very nutrient dish, easy to prepare and will please nearly all palates. *Cleaning sardines is very easy, just rub the scales under the running water, cut off the head and slit from the head to the tail and rinse the rest of innards. Grilled sardines can be served as an appetizer with garlic and parsley sauce, as the main meal on a plate with potato salad or you can simply make a grilled sardines sandwich. Garlic and Parsley sauce is a delicious Mediterranean sauce, great for seasoning various meals, often used for seasoning fish dishes. If you don't like this sauce you can season your grilled sardines with Honey Mustard sauce or Salmoriglio sauce. (You can find the recipe in the Sauce section, under Recipes).